Enyardo is proud to announce its new product, the heavy-duty lawnmower cover. Investing in a good lawnmower is good for keeping the grass under control and for adding beauty to the house. However, bad weather can take a toll on the machine if left without care. 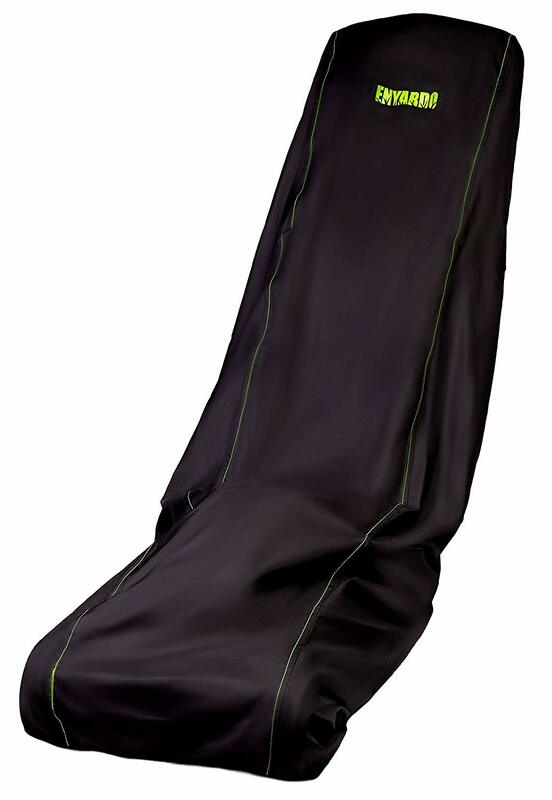 Enyardo’s lawnmower cover offers protection for any lawnmower. It is waterproof, has 600D extra UV protection, large sized, easy to use, and lasts longer. It also comes with a secure drawstring that makes it super easy to cover all parts of the lawnmower. “Many people invest a lot of money on their lawnmower only to see it damaged after using it for a few times. The weather has a powerful influence on the parts of the lawnmower and it will damage the machine if care is not taken. Our lawnmower cover is designed to provide protection for your lawnmower against harsh weather conditions. It is powerful, highly resistant, and lasts long. Whether you keep the lawnmower indoors or outdoors it doesn’t matter; this covering is designed to withstand all weather elements and keep your lawnmower safe and in top shape,” said a representative of Enyardo. Enyardo’s heavy duty lawnmower cover is one of the best of such products in the market. It comes with very powerful features, which is why it has become a favourite with consumers. To ensure extra protection, a special design of 600D polyester is employed which prevents the penetration of UV in the toughest condition. It’s also perfectly waterproof, so no form of rain or moist will be able to get through to damage the delicate engine parts and pieces. Protection will also keep mower safe from dust, air, UV lights, and scratches. Many users also like the cover because it is extra-large, big enough to cover any mower model. There is an adjustable tightening cord, that makes it super easy to use the bag in any type of condition, without any stress. “I have been looking for a cover like this for a while. Finally, I found it and I’m very happy I did. It keeps our lawnmower dry, dust free and protected. It is heavy duty too, once my husband got it stuck between heavy garage doors and nothing happened at all. Definitely worth getting it. I would recommend this product,” said Veronica M, a customer. Check this out for more information by clicking HERE.